The Cleveland Chamber Symphony has a history of presenting both new works and those neglected in the past. Since its founding in 1980, the group has premiered more than 90 works, most of them commissioned. 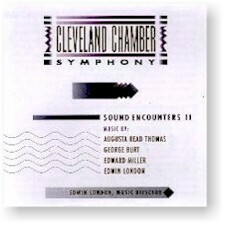 Along with the other Sound Encounters releases, this series is providing a valuable documentation of some of the finest contemporary American music.